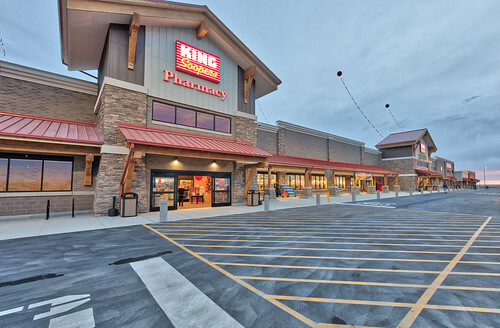 Erie, Colorado King Soopers Grand Opening - Photo Day! 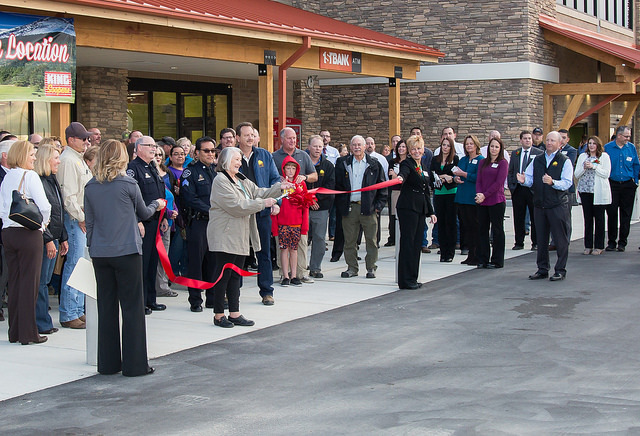 I was asked to take part in the grand opening of a massive new King Soopers store in Erie, Colorado. 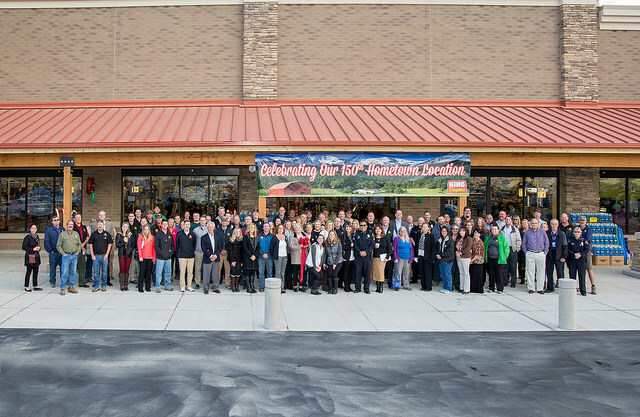 The Town of Erie asked me to take photos of the grand opening, including a group photo of many of the main people involved – from the Town of Erie, to construction folks, and the like. I had imagined a group shot of maybe 10-20 people, but it was over 100. That’s a difficult group shot to take for sure. Largest one I have ever done. Here is a flickr album and link to the rest of the photos. I was a little nervous going into the shoot. It was cloudy, and early in the morning, and to get a group that size all in focus, you have to use a higher F-Stop, like 8, but that will reduce the amount of light, and slow down your shutter, making the possibility for blur. I brought two cameras, my 5d Mark 3, and my 5dsr. I had the flash (Canon Speedlite) on my 5d3, and the 5dsr on a tripod. 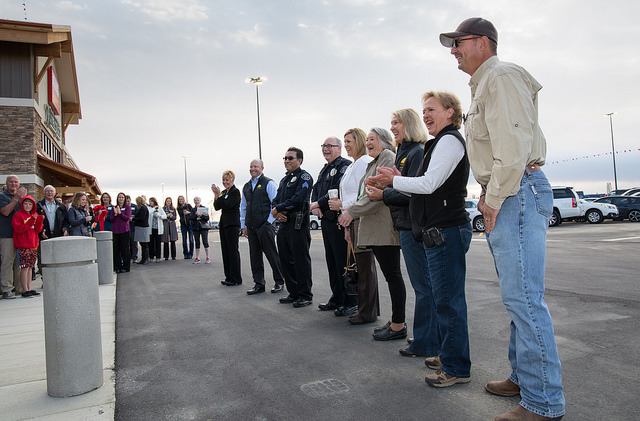 The town brought a ladder for me, so I could get up high for the group photo. I also thought a shot with a line of people leading towards the entrance would be cool. If I could do it over again, I would have tightened up the group shot. Fortunately with the 5dsr the file sizes are so big, you can really crop in and still retain the detail.